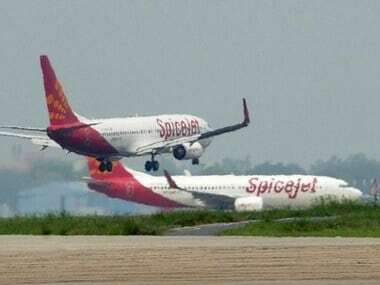 Budget airline SpiceJet has said that payment of salaries to employees was delayed but promised it wouldn't happen again. SpiceJet's promoters, the Marans of Sun Group, may have finalised an investor for the ailling airline. A source told Firstbiz this morning that a deal, which could see an infusion of up to Rs 1500 crore in tranches into the airline, has already been agreed upon. Post Twitter war, SpiceJet says deep discounts trimmed losses: Fact or short-term euphoria? Are frequent fare discounts working for ailing SpiceJet, which has reported its fifth straight quarterly loss for the September quarter? The airline says these schemes are working and has even come out with details explaining exactly how. But it is tough to figure out whether the management's strong belief in frequent and deep discounts to stimulate demand is based on facts or short term euphoria. AirAsia chief Tony Fernandes may have hit out at IndiGo for acting like a bully and stopping his airline in India, but it seems SpiceJet is not taking the accusation very lightly. The CEO is widely expected to be an expat and new COO Sanjiv Kapoor too has a considerable overseas airline experience.